Numbers I think about include my weight, the price of various stocks, my net worth, the amount of money I spent on recent purchases and the closing level of the S&P 500. 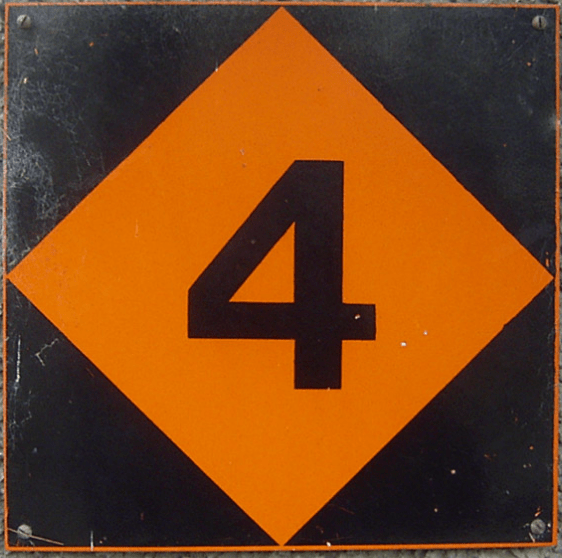 Another number I’m obsessed with is 4. I think about it relative to the 4 Percent Rule. In case this is the first article you’ve ever read from a financial blogger or website, the 4 Percent Rule is a guideline for spending in retirement. Although I embrace the 4 Percent Rule, it is quite controversial. Today, DJ from My Money Design guest posts to tell you some misconceptions about the 4 Percent Rule. Enjoy! How well do you think you know the 4 Percent Rule? … You know … the rule that says you should withdraw no more than 4 percent from your retirement nest egg in order to make it last 30 or more years? Despite its popularity and some controversy, one of the unfortunate things about the 4 Percent Rule is that it is often misrepresented and misinterpreted. You will often see it mentioned in financial articles, but while doing the research for my latest ebook “How Much Money Do I Really Need to Retire …”, I noticed that the facts are sometimes quite skewed. What’s more: When you actually read through the articles that made the 4 Percent Rule famous, there is quite a bit more valuable information to them that hardly no one ever discusses. Here’s a few facts about the 4 Percent Rule that you may not have known. It is often misquoted that Bill Bengen’s 4 Percent Rule has a 95% chance of success. In reality, this statement is a combination of two sources that have become intertwined over the years. The original 4 Percent Rule article written by Bengen in 1994 actually showed a 100% chance of success for a minimum of 33 years (or more) when using a withdrawal rate of 4 percent and making inflation adjustments annually from a portfolio containing 50/50 stocks and bonds. It was the Trinity Study article 4 years later in 1998 that further validated the 4 Percent. This was the data set that assigned a 95% success rate to making inflation adjusted 4.0 percent withdrawals from a 50/50 stock and bond nest egg. So why the difference? Why did Bengen get 33 years and the Trinity Study got a 95% success rate over 30 years? The difference was in the bonds. Bengen used intermediate treasury bonds in his calculations while the Trinity Study used-long term corporate bonds. The two articles are often a debate of longevity vs probability. When Bengen analyzed different withdrawal rates, he looked at how long your money would last with 100% certainty. The Trinity Study, on the other hand, fixed the number of years and instead looked at the probability of success for a given withdrawal rate. Critics of the 4 Percent Rule (such as those from the Safety First school of thought) often argue that Bengen’s approach was more appropriate because of the 100% confidence factor. Their critique of the Trinity Study method is that it turns retirement into more of a “gamble”. DJ from My Money Design in some tropical paradise. Hopefully, he isn’t thinking about the 4 Percent Rule. Both Bengen and the Trinity Study demonstrated that asset allocation could make quite a difference in both how long and the statistical odds of your money lasting. For example: In the 2011 update to the Trinity Study, it was shown that a portfolio with 75/25 stocks and bonds and an inflation adjusted withdrawal rate will have a 100% chance of success for 30 years as opposed to a 96% chance with 50/50 stocks and bonds. In addition, they also looked at something else that could be very important: How much money you would “end” retirement with. This part of retirement planning is important if you plan to pass money on to heirs or a noble cause. As you might guess, portfolios with a higher allocation to stocks ended retirement with larger amounts. 4) Why Are FIRECalc Results Different? Ever play around with FIRECalc? I certainly do! It can be a very useful way to quickly test different a variety of withdrawal rates and retirement planning scenarios. So how come when you try the 4 percent rule in it by testing a withdrawal rate of $40,000 from a nest egg of $1,000,000 over 30 years, it shows 95% success? Similar to the difference between Bengen and The Trinity Study, FIRECalc uses a different set of default assumptions. Without changing any of the advanced settings, FIRECalc uses a 75/25 stocks to bonds ratio. It also factors in a 0.18% fund fee. One rarely discussed gem from the Trinity Study is a set of results that shows the withdrawal rates if you don’t adjust for inflation. In the updated version of the Trinity Study, the authors concluded you could use a withdrawal rate as high as 7% with a success rate of 91% if you made no inflation adjustments. While not necessarily practical, this information can be useful because it lets us know just how large of a rate you could use if you were willing to compromise on inflation adjustments. For example, you could raise your withdrawals by a rate lower than inflation. Or you could only make adjustments every other year. In this study I did here, I was able to show that you could re-create the success of a 4.0 percent rate using a higher 4.5 percent rate but lowering your inflation withdrawals by 1.5 percent. There are a variety of combinations could use to either use a higher rate or simply add to the safety and security of not running out of money. If you’re an early retirement seeker and need your money to last you a lot longer than 30 years, one of the interesting things that Bengen mentions in his original article is that a rate of 3.5 percent with inflation adjustment worked for nearly every rolling period he studied for over 50 years! If you’re on the other side of the fence and can stomach a little more “risk” in order to use a higher withdrawal rate than 4.0, then you should check out the table of results in the Trinity Study. It provides you with a whole matrix of probabilities where you can simply pick the one that you feel the most comfortable with. Perhaps the most misunderstood thing of all about the 4 Percent Rule is that it was never meant to be something that people actually follow. It was merely intended to be a tool to help financial planners and do-it-yourself individuals safely figure out how much they could reliably withdraw from their portfolios every year. Both Bengen and The Trinity Study cautioned that this may not be a one-and-done strategy. Depending on how things are going, some adjustments may be necessary along the way. Readers: What do you think about these misconceptions of the 4 Percent Rule? Did any of them surprise you? Is there anything here that you think could help benefit your retirement plan? About the author: DJ is the man behind MyMoneyDesign.com, a blog that is dedicated to exploring how to make your finances and life better. If you like the information you’re reading here, then please be sure to check out his ebooks on Amazon. Me too! I know from my research that he had a B.S. from MIT in aeronautics and astronautics, long before he ever got into financial planning. Quite an interesting portfolio of interests! I’ve known about the 4 percent rule for a long time – but this was a great deep dive on the topic. thanks for sharing! For me the rule works as a general rule of thumb. I think the reality is that most people will make adjustments along the way if there are big market declines, etc. Especially the FIRE crowd. If we retire tomorrow and the markets tank, there’s nothing stopping us from going out there and hustling a little longer to make some more cash. Absolutely! For me, that’s the most important take-away as well. We can make our plans with some reasonable margin of error and confidence, and then make adjustments as reality plays out. We’re all smart people, and we know better than to stay on a ship that’s sinking. BTW – Great job on you net worth post! It’s awesome to look at your graph over the last 12 months and see if go up by so much. Very good to know about some of the assumptions behind Bengen, the Trinity Study, and FIREcalc. I feel fairly confident in the 4% rule working for a 30 year timeframe, especially since I’m willing to take a bit more risk by holding 75% or even 100% in equities. However, the big stumbling block for very early retirees is the 50+ year retirement horizons and getting some comfort around that. Needless to say a lot can happen in 50 years and a stable retirement isn’t something I want to leave to chance. So I’m looking to build a cushion and rely more on a 3-3.5% withdrawal rate. Thanks for the great guest post, DJ! Yes, for the FIRE community, a +50 year horizon does pose it’s own longevity challenges. I was excited to learn in the Bengen article that he found a safe withdrawal rate of 3.5% to work for +50 years for nearly every rolling period analyzed. This also backs up my own research with FIRECalc: http://www.mymoneydesign.com/personal-finance-2/retirement/best-safe-withdrawal-rate/ Manipulating your inflation adjustments can also do the trick. One more misconception comes to mind that Early Retirement Now did a good job of highlighting recently. The four percent rule shows a percent likelihood of having money left after 30 years according to the Trinity Study. The problem is you can’t extend these results beyond 30 years. A non trivial percent of success means you end the period with way less then you started with. However you still have money so it is a success. The problem is with less money the probability of the next thirty years drops. It depends on how safe you’d like to be. So even though it is true that past 30 years your confidence level drops, the outlook is still not entirely bad. The studies seem to look at a static scenario where you start withdrawing 4% in year one and then adjust future withdrawals for inflation. But in many/most instances retirees end up with huge ending portfolio balances, meaning they could have spent more. It seems to me that you could pretty safely withdrawal 4% in year one, adjust future year’s withdrawals for inflation, BUT be able to withdraw a minimum of 4% in future years. In other words, if your inflation adjusted withdrawals dropped below 4% of the portfolio balance, a retiree should be able to increase the withdrawal to 4%. Does that logic ring true with anyone else? If one is concerned about high stock valuations they can also consider diversifying their investments internationally. For example, CAPE ratios are high today in the US but not everywhere. Good overview of the 4% rule and it’s original contours. One key point to consider is that all these studies were done during a period of generationally declining bond yields (with the exception of some brief periods of higher rates). So, portfolios constructed today with sizable bond allocation will have substantially lower income contribution that must be considered in the SWR analysis. Recent studies done suggest 3.5% is as close to a guarantee one can get in a long tenure retirement, say around 50 years. The key is to keep all this as a guide as you rightly say and not be academic about it. I feel it’s worthwhile to also do a review every few years on withdrawal rates vs portfolio and see how you are tracking so we can do course corrections. Ten Factorial Rocks recently posted…Happy Factorial 2017! Yep. It seems like the people who are in the “YOU WILL DIE POOR IF YOU FOLLOW THE 4% RULE!! !” camp are always very rigid. Be flexible and it will all be OK.
Vanguard had a good post on their blog about flexible withdrawal strategies. It is a good read if you have time. Thanks for the share, Matt. That will be my lunch-time read for tomorrow! Very good points! A certain amount of your income has to considered discretionary and available to sacrifice if absolutely necessary in turbulent times. As long as your primary target is well above your baseline living needs and you can live with some flexibility, then you’re going to be just fine. Totally agree. I am (I hope I am) about 2.5 years from FIRE and a roughly 4% WR. FIRE for me is to free myself from the constant work, 3-4 weeks vacations a year paradigm. I think FIRE will be some timeperiods when I don’t have an income and others when I will. The difference is the type of activities I will undertake and the amount of money I need to make to ride through the leaner investment income periods. I like wood working and home repair. I am sure I can earn a little here and there on that. I like sailboats, perhaps I can do a few Yacht deliveries or refit projects each year. I like and am pretty good at solving engineering problems, perhaps my current employer will invite me back as a contractor to support specific projects? I think the ‘for planning’ part of the Trinity Study is the most important part that gets lost. They said “The investor needs to keep in mind that selection of a withdrawal rate is not a matter of contract but rather a matter of planning”. It is unfortunate that the Trinity study is often referred to as the 4% rule – the word “rule” has connotations that don’t really apply in this case. … I totally agree. Both Bengen and The Trinity Study made it very clear that their studies were intended to aide in planning; not hardened rules that we live and die by. 3: Today’s equity valuations are expensive and bond yields are low. Good luck extrapolating the 1926-2011 data to today! In fact, not only do 90%+ of retirees finish with more than their starting principal after 30 years by following the 4% rule (so even if you outlive the time horizon, there’s still funds left over), the “typical” retiree actually finishes with many multiples of their starting wealth with this spending approach! Over 2/3rds of the time the retiree finishes with more-than-double their initial principal left over. And the median wealth at the end of 30 years is almost 2.8X principal! One-in-six scenarios finish with more than quintuple the retiree’s initial wealth! I thought I left a reply, but it must have gotten lost in cyberspace. Long story short: The Kitces estimate of 90% is wrong. It’s without CPI-adjustment. The final values are significantly lower when looking at real final values. Also there were cohorts who essentially lost their nest egg after 30 years (1965/66) using 4%. They will get no reset button to get back to the median net worth to last another 30 years. I found that over 60Y failure rates were 30-40% when accounting for today’s high CAPE ratio. Not a pretty picture for the 4% rule! I’m guess I’m not following. I know that the studies accounted for price increases to keep up with inflation. Kitces mentions inflation in his article, so it seems like he’s accounted for it. As Chadnudj mentions below, the 90% refers to the nominal final value. Only 60% of the cohorts preserved the real initial value after 30 years. Several cohorts came close to getting wiped out with the 4% rule. After 30 years. And (according to my own research) all cohorts with a failure of the 4% rule have one thing in common: CAPE>20 at the beginning of retirement. Current CAPE=28. That’s because Kitces used 1Y bonds for his study (to push the SWR above 4% in the 1970s). That helped back then when long duration bonds got crushed but hurts you in the 2001 and 2008/9 crisis because you don’t participate in the bond rally. Anyway: as I said before, people might still do well with the 4% rule today. But there are significant risks! Good luck everybody! Not to get off topic…but that article on the Fed model for stock values based on interest rates is interesting but I’m not sure what to think of it. It feels like you can make it fit your beliefs no matter what they are. Most stock investors seem to believe the low valuations in the 70s was this amazing time to buy, but is that only because inflation came down starting in the 80s? Were those low values actually justified based on the fact rates were going to double digits? Or in the late 90s were valuations super high based on the discount rate going to 6% in 2000 or were stocks fairly valued based on the fact interest rates were headed to zero? And what does this say about international markets? If you look at CAPE, Europe overall is trading around 16-17 times. Does that mean that is super cheap with interest rates at zero or does it mean interest rates are going up? Or does it just imply average values based on average CAPE? Of course: A lower static SWR is just one possible solution. Like I mentioned in my reply to Full Time Finance, there are many ways to manipulate the 4 percent rule and successfully do more with less. Like you said, I think the 4% Rule is good for planning purposes only. Most people withdraw at different rates; it just depends on the market, inflation, and their personal financial decisions. I do need to become more educated on investing, but 4% is still a safe withdrawal rate to plan for in the long term. The downside is that short term fluctuations in the market can still affect this number. My plan is to go for 4% and then some to account for fluctuations and life in general. And the good news is that you’ll probably be just fine! As long as you are willing to be flexible and make a adjustments along the way (especially in the first 10 years of retirement https://www.kitces.com/blog/understanding-sequence-of-return-risk-safe-withdrawal-rates-bear-market-crashes-and-bad-decades/), 4 percent will be a good starting point; at least as far as planning is concerned. Wow, a lot of good information on the backstory of the 4% rule! I think the most important is #7 – that’s it’s just a tool to help plan. When I hit FI, I plan to have slightly more than 25x my expenses. However, we’re also being flexible on early retirement which I think is key. There will be some years where the economy is bad and we’ll have to scale back and some where things are good and we can spend slightly more. The 4% rule is definitely a great tool to have in your belt to help guage your future, but I wouldn’t use it as my sole method of planning. 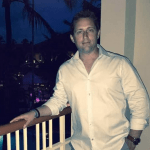 Beyond simply having the 4 percent number to work with, some of the other gold nuggets I take away from all of this are all the tricks at our disposal to make our money last longer. I think the 4% rule is a great guide/planning tool, but no one should be too dogmatic in sticking to it. In other words, 4% is VERY safe, generally speaking, and you’re FAR more likely to end up with MORE money than you started with than end up with nothing using it (which is why Kitces advances a cool “ratcheting” plan where anytime the remaining balance increases 50% over your initial balance, you increase your withdrawal rate by 10%, to allow you to enjoy a bit more of your wealth). But, just in case, be vigilant and flexible, in case some bad sequence of returns affect your portfolio…. Kitces is the Man! Thanks for mentioning these gems. The more I study this topic, the more I realize that any SWR below 3.5% is really over-doing it. Saving an extra $1 million dollars (or whatever) just to simply gain an extra 1% of confidence on top of a strategy that already has 99% confidence seems not worth the trouble. No big surprises here. The 4% rule is useful because it gives you a solid target to shoot for. If you spends $40,000/year, then you need to reach a million dollar. It simplify a lot of stuff. In realty, you just need to be flexible. When you retire early, you can still figure out different ways to make a little money or spend a little less. Yes, 60 years horizon is a long, but I think most of us can do it because we are adaptable. I would be more comfortable with 3%. There is a definite beauty in the simplicity of this approach. I think that’s the real reason why the 4 percent rule has caught on so well. There are dozens of other SWR’s and strategies, but you never hear about them because they are likely perceived as being too complex. While I have read the results of those studies, I actually *follow* a much more conservative path myself…The 3% rule! While some people tell me I could get away with 3.5% or 4%, I prefer to err on the side of being overly conservative. If I’m wrong, I’ll take no issue with having more money than necessary. One thing people miss is what I call the infinite retirement rule. Just take 4% out of a 60/40 stock bond portfolio based on year end value. As the market fluctuates, your income will as well. Over time, assuming the portfolio is structured properly, you will never run out or money since you take more out in rising markets and less in declining markets. The key is massive diversification via low cost asset classes and never bailing out during the bear markets. For example, when portfolio drops from $1m to 800k your income drops from 40k to 32k. This won’t work with a 100% bond allocation assuming you want your income to grow. You need equites to grow faster than inflation. I like it! Like If you can be flexible, you’ll be OK.
You see, the Belgian stock exchange has several holding companies paying around 3% a 4% dividend yield. And these holding companies have often been created to manage the money of families who have been rich for centuries (one the holding companies was older than Belgium)! The people running them have a time horizon that spans several generations. And they deem a payout rate between 3% a 4% safe. and sort on dividend yield you will get 13 companies with a yield above 3%. That is dividends, all those stocks have had their stock itself go higher. You can always write covered calls on those stock (or puts to buy them back if you ever have your stocks called away). An extra 1% yield via options is really dead simple to achieve this way and would take only a little bit of work every three months or so. Or if you are lazy like me, just write a call one year out. If you know what you are doing, are a bit flexible in your spending (tighten the belt in a down year) then a 4% withdrawal rate will not only guaranty success for 30 years but for generations…. Less academic studies, more looking at the real world and what successful families have done for the past centuries and you will never worry about the 4% rule again! A major discussion from MMM’s boards is that the success rates are inflated due to using all starting times. It violates the real practice that people will retire the first increasing month their net worth is high enough to hit FI. That’s a brilliant point! People in the FIRE crowd don’t usually retire at the bottom of the stock market during a recession. But the Trinity Study averages over all months. The endogeneity of the retirement decision as a response to a prolonged bull market adds another layer to my suspicion about the validity of the 4% rule. Great point! It would actually benefit people more to retire during this time because the Shiller CAPE is so low. Kitces found that during under-valued times when the CAPE is below 12, we could risk a SWR as high as 5.5%! While I don’t think I necessarily would do that, it does tell me that something more modest betwee 4-4.5% would be relatively safe. Even though the analysis is important, I do believe some folks tend to make a much bigger deal out of it than it needs to be – and that goes for both extremes. The 4 percent rule was just a planning tool; not a dissertation for how to live life. There are plenty of ways we can adjust up or down as needed. P.S. does the 4% rule include taxes on both dividends and wealth? Good question. As I understand it, the withdrawals are just withdrawals. Taxes are paid on your end after the fact. I think it is easy to get bogged down in the technical details while ignoring the human factors that are more likely to determine success or failure. In a nutshell I think the biggest cause of retirement portfolio failure is lifestyle inflation (either voluntary or involuntary). In other words, I’m have more confidence in the 4% rule working from a mathematical standpoint than I have in my ability to follow it if I run into serious medical bills or other disaster. Having contingency plans for when life unexpectedly gets expensive is the best defense. Definitely. Its far more than just mechanics. Lifestyle inflation, health problems, marriage or family issues, … these can all play into it. As long as you leave some buffer to account for the unexpected and are willing to adapt, then you’re going to be okay. Like the post and it’s subsequent comments, very insightful! Now here is where it get’s very difficult for us. We have a very well diversified portfolio with real estate, dividend stocks, ETF’s and crowd funding (albeit the latter will likely disappear in the next 5 years or so). We don’t have any bonds (find the yields too low). As you can imagine, part of this portfolio is affected by the 3.5 or 4% SWR. Part of it is driven by cash-flow. Add some company pensions and potentially government benefits potentially taking effect when we turn 65 /67 / older. Oh, and taxes… This all makes for an very interesting and very hard to estimate early retirement 😉 Still struggling a bit to find out what the best course of action is.